Beautiful Handcrafted Pieces -At Fadwa Jewelry Designer you will find the finest handcrafted and unique pieces around. These are made as an expression of the beauty women in different cultures and places may have experienced within their lives. Both confidant and bold, Fadwa stands out in all of their striking artistic glory. Chokers are a large specialty here; they are all handcrafted with hand painted beads, crystals, semi-precious stones, lamp beads and Venetian style glass hand painted beads. Most creations are limited one of a kind pieces. A popular design of choker that truly stands out is the ocean view, which is crafted with tear drops faceted lapis-lazuli spaced apart by translucent green beads. The sky drop II choker design is absolutely stunning; it is a choker which is to be worn tight and high upon the neck. The use of lots of reflective light blue faceted nuggets of topaz in the designs, bordered with deeper opaque blue beads and then are then silver dipped at each ends with tiny blue faceted crystal beads which have a clasping in silver. Fadwa also has an assortment of beautiful bracelets and anklets for you to choose from. The garnet anklet with faceted deeper red tiny disks of garnet and the anklet itself made in silver with a Yemeni clasping in silver is a elegant and classy design. The Exquisite crystal ball choker has satin black cords with rock crystals dripping from them; they sway gracefully while enhancing the beauty of the neck. The Radika is a shorter necklace with blood red stones. 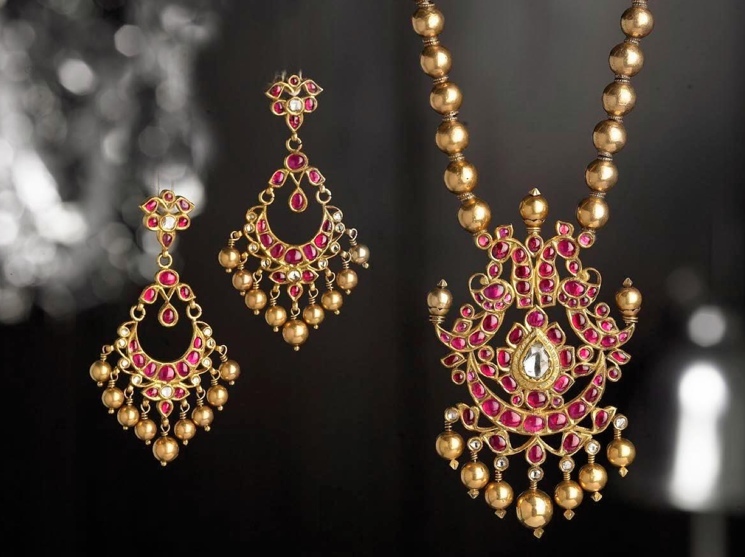 Beads from India, Afghanistan and China, silver decorated tubes and filigreed ones are intermingled within the rubies for a show stopping piece of designer art. Within Fadwa Signature Designs you will find some of the most extravagant jewelry designs you have seen. A very elegant and bold piece within the signature collection is the riding wave short necklace. This necklace is designed with two strands of beads and designed with star fish, plated silver beads, lapis-lazuli semi-precious chips and beads which are patterned and sparkle with a mixture of smaller sized beads and includes clasping made of silver. In warmer seasons the handcrafted crochet beaded anklet is a must have for anyone who loves to show off their new pedicures. The crochet handcrafted anklet is done in a vibrant red with delightful, flirty and fun ornamentation throughout the design. It fits any woman’s size foot. The autumn bracelet is a great reminder of falls warmth and inviting color arrays. It is crafted using beads and mixtures of various carnelian, all smoothed rounds, faceted chips in many different hues and tones spaced separately with beads in gold. This can be found within the semi-precious stones collection. These are amazing and unique designs for all to love.